People may assume that a Cloud Computing Solution is only something that a small business or corporate business would look at. However the more progressive charities are using cloud computing solutions as a way to enable their workforce and keep costs down. Using Microsoft SPLA charities are able to reap the benefits that Microsoft offer in terms of reduced license costs for charities. 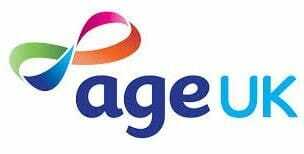 Age UK (Essex) are an example of this and below is an overview of the solution that YourOfficeAnyWhere provided to them. YourOfficeAnyWhere were asked to provide a solution for Age UK Essex to allow the use of Chromebooks with a hosted desktop solution to run Microsoft Office in the cloud. Although connectivity using Chrome books had not been tried before, YourOfficeAnyWhere were confident in the flexibility of the platform and that the platform was designed to allow connectivity from any device that would allow RDP connectivity. YourOfficeAnyWhere successfully tested and provided an analysis of the various Google Chrome RDP clients suitable for connection to the YourOfficeAnyWhere solution in their demo environment, prior to AGE UK Essex committing to the solution. YourOfficeAnyWhere also provided a solution where they could declare all the users on the platform who needed to run the various office applications but limit this to a concurrency solution to reduce the overall monthly cost – the concurrency solution allows Age UK Essex to change the number of users allowed on the system as workloads change whilst maintaining a cost effective solution. YourOfficeAnyWhere proactively notify the IT staff at Age UK Essex automatically should they get close to the limit of connections allowed (before completely stopping access to a user because the limit has been reached) so they can take a decision as to whether they should increase this temporarily for the month. Robert Stanford IS Manager at Age UK Essex provided the following feedback on the solution YourOfficeAnywhere (Cardium Outsourcing Ltd) provided to Age UK.